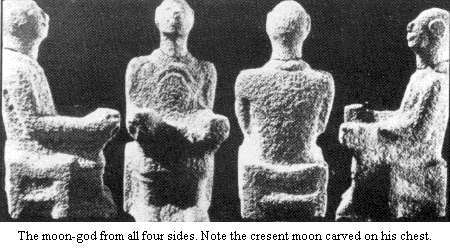 The Pagan Files: The Daughters of "Allah"
Allah was worshipped as a moon God in pre-Islamic times(moon worshipped was popular in pre-Islamic Arabia). Lat, Uzza and Manat were worshipped in pre-Islamic Arabia as Goddesses and the "daughters of Allah". Near it is the Garden of Abode. Behold, the Lote-tree was shrouded (in mystery unspeakable!) (His) sight never swerved, nor did it go wrong! For truly did he see, of the Signs of his Lord, the Greatest! Have ye seen Lat. and 'Uzza, And another, the third (goddess), Manat? These are the exalted cranes (intermediaries) Whose intercession is to be hoped for. A blog concerning the religions, spiritual concepts, ideas and ways of life indigenous to Greece, Europe and the rest of the world. "Gods don't die. It is the faith that dies, the faith of the ungrateful crowd of mortals."